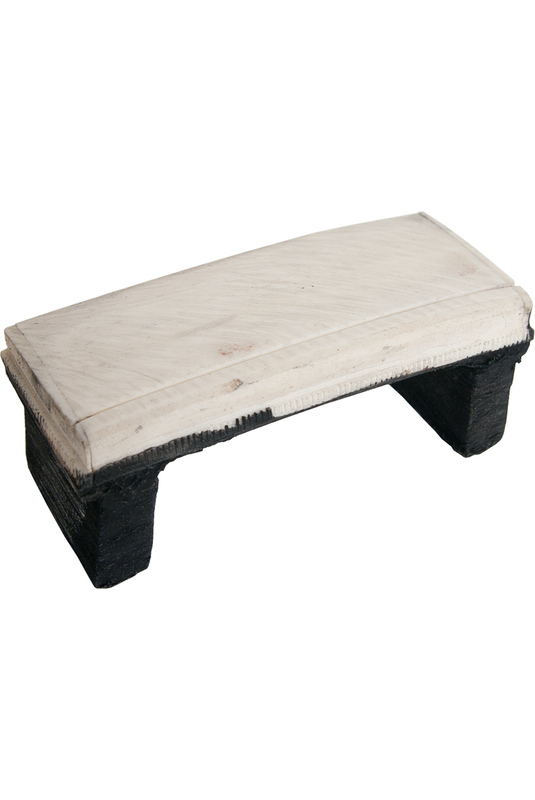 banjira 3 x 1.4 Inch Tanpura Bridge Female Cattle Bone TBBF. Tanpura Bridge, Female TBBF Replacement bridge for female tanpura. Hand made of natural cattle bone, expect variations. Approximate size: 3 inches long, by 1.4 inches wide, by 1.25 inches tall.